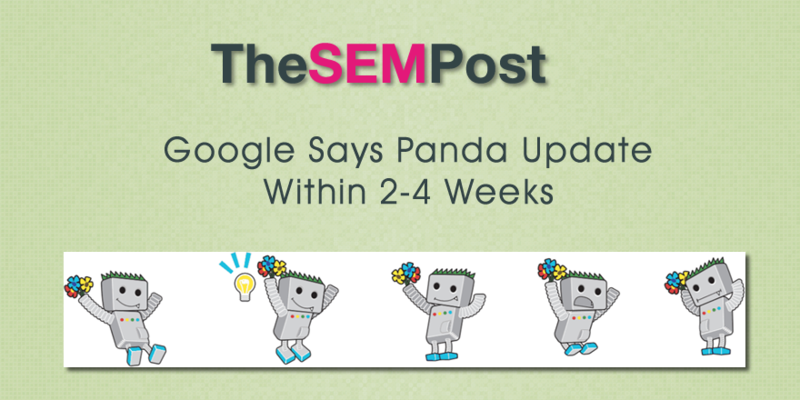 Good news for those who have been eagerly awaiting a Google Panda update – we will see the next one within the next two to four weeks. Gary Illyes from Google made the announcement at SMX Advanced this week, and while he wouldn’t be more specific than 2-4 weeks, it does mean that we will likely see it sometime in June. The next Panda will just be a refresh, meaning that it is merely a refresh of the last Panda algorithm. So there are no new changes being made specific to this Panda refresh. Is it too late to fix problems before the next update? You do need to remember that Google would need to crawl these pages after the quality has been improved before it will be reflected. Ideally, you need to make the change as soon as possible. But if you want to force Googlebot to visit those changed pages as soon as possible, there are three ways you can do that here. Even though this is a refresh, sites will be penalized by Panda when it rolls out, it won’t be simply lifting the Panda penalty from those who have been suffering from it. It has been 7+ months since we have seen the last refresh to Panda, so this is definitely good news for SEOs. And it is probably a good time to do a last pass over content you think might need beefing up before it is unleashed.